Located in Guia, this villa is 3.9 km from Albufeira. Guests benefit from free WiFi and private parking available on site. There is a seating area, a dining area and a kitchen complete with a dishwasher, an oven and a microwave. Situated in Guia, this air-conditioned apartment features free WiFi. Guests benefit from terrace and an outdoor pool. The kitchen has a dishwasher and an oven and there is a private bathroom. A TV is featured. 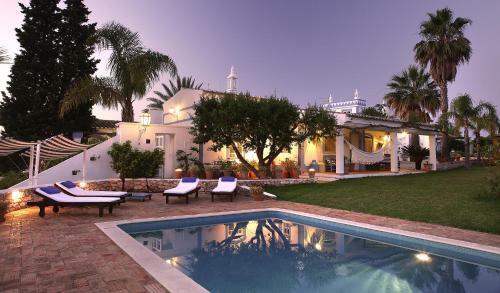 Moradia Ricardo is a 3-floor villa with 5 rooms, located within 6 km from Albufeira city centre. The spacious property has its own private outdoor swimming pool, complete with loungers. Situated 6 km from Albufeira, Monte das Cortelhas offers double or twin rooms with access to an outdoor pool. This rural house surrounded by farms features free WiFi.